“Currently, a new generation of robots is in development, designed to have far more autonomy than traditional robots,” says David Mayoral Vilches, the co-founder of Alias Robotics that won the B2B Enterprise Tech prize at the South Summit 2018 in Madrid, Spain. "As robotics becomes ever more intertwined with other technologies like cloud computing, Big Data and the Internet of Things, there is growing alarm. Similar to what happened to the computer industry and the internet, robots are currently not secure. Robot manufacturers and end-users who fail to take a security-first approach now will suffer the consequences. Robot hacks are coming," warns the CEO of the Basque robotics startup. Established in 2017, Alias Robotics has already received funding from pan-European robotics accelerator RobotUnion and cybersecurity accelerator Cylon to launch its first commercially viable product in 2019. Its unique Robot Immune System (RIS) chip provides security for robots, their components, and internal network systems. The RIS will be automatically updated, using the latest bio-inspired AI techniques and cutting-edge hardware. “We humans have our immune system, composed of diverse layers that adapt to their surroundings. That is what we want to do for robots so that their security systems can adapt and comprehend all information on the robot's environment to respond in kind," Vilches explains. Thanks to AI technology, the increasing autonomy of robots will permit them to move more freely around, together with their connectivity to the internet and mobile devices. Anti-virus products would be insufficient to keep up with the ever-increasing capabilities of robots. Therefore, there is a need for an "immune system" to be developed specifically for robots. Hence, the founding of Spain’s first company that is completely dedicated to robot security in 2017. The co-founding brothers, David and Victor Mayoral Vilches were joined by robotics and IT expert Alejandro Hernandez who is now the CTO of Alias Robotics. The five components of the RIS chip will be patented by the end of 2018 and launched in 2019. The RIS chip is highly adaptable as a plug-and-play device for any type of robot. It can help to protect robotic software such as the Robot Operating System (ROS), Softbank Robotics NAOqi, OROCOS, and OPRoS. Security is a virtual non-issue in the development of robots for consumers. In the rush to drop prices and commercialize them for the mass market, consumer safety is understandably prioritized at the expense of cybersecurity. Many basic robot designs have an external and an internal network. The external end-user network is typically protected by encryption, authentication and integrity mechanisms. But this is insufficient because the internal network, that controls the exchange of information within the robots, is often left unprotected. If no authentication check is required, then anyone with physical access to the robot could potentially access the internal network. 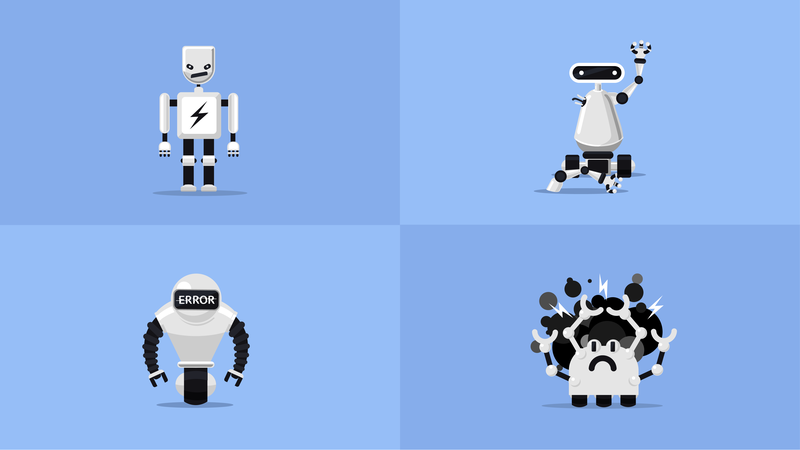 Spotting this gap in the market, Alias Robotics has launched an online test aimed at the ethical hacking community to assess the vulnerabilities of developed robots. The Robotics CTF (Capture the Flag) website allows users to explore and hack simulated versions of actual robots that are being used all over the world. "Our RCTF facilitates the creation of hunt-and-capture programs, an effective way to directly reward those who provide manufacturers with new vulnerabilities to correct," says Vilches. Within the next decade, robots will be found in factories, homes, hospitals and consumer-oriented businesses. However, robots are not infallible. A 2014 study in the US revealed that at least 144 deaths and over 1,000 injuries were caused by robot-assisted surgeries between 2000 and 2013. There are also potential risks from terrorism and malicious hacking that could threaten public security. Alias Robotics will focus on tackling such security issues. The Vilches brothers are well connected in the sector. Their first flying robot project Erle was started in 2012 with just €3,000. Erle Robotics SL was incorporated in 2014 with seed funding from business angels. Early backers included Carlos Uraga Pastor, who co-founded Acutronic Link Robotics AG in 2016 with Victor Mayoral Vilches and JA Technologies in Switzerland. Erle was also funded by the US Defense Advanced Research Projects (DARPA) for the development of hardware robot operating systems (H-ROS). Victor Mayoral Vilches is an experienced roboticist, CEO of Acutronic and advisor to Alias Robotics. He was the CTO at Erle when it was sold in 2016 for €4 million to Swiss-based Acutronic that received Series A funding from the Sony Innovation Fund in 2017. Sony Corporation also began to use the H-ROS in the Japanese conglomerate's own robotics division. Armed with business partners and investors in the US, Europe, and Asia, it is only a matter of time before Alias Robotics microchips are used to protect robots and AI devices all over the world.